Before discussing the Sheep and Goats Judgment, let’s review the events immediately preceding it. Some confuse this passage with the rapture. However, at the rapture, 1 Thessalonians 4:16, the Lord Himself will give a shout of command along with the trumpet sound of God and we will obey. Angels don’t do the collecting at the rapture. After the Second Coming, the angels collect the elect after being sent with a trumpet call. This reminds us of Zechariah 2:6, where God states that “I have spread you abroad as the four winds of the heavens, declares the Lord.” Where He once spread Israel abroad via the four winds, He will now gather them via the four winds. “And so all Israel will be saved.” (Romans 11:26) The elect (saved by grace through faith in the Messiah Jesus Christ) remnant of Israel will go straight into the Millennial Kingdom. 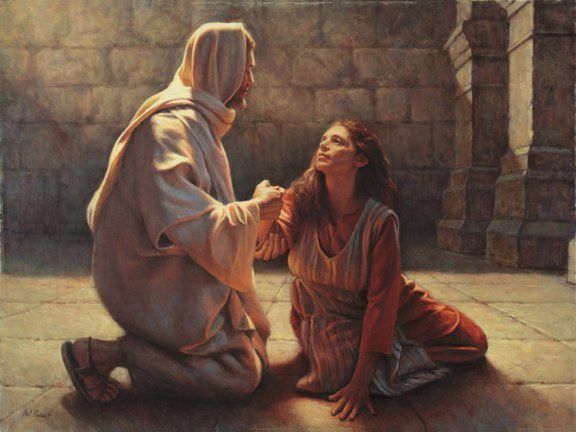 We know from Matthew 12 that Jesus considers those who do God’s will to be His brothers and sisters – “Who is my mother, and who are my brothers?” And stretching out his hand toward his disciples, he said, “Here are my mother and my brothers! For whoever does the will of my Father in heaven is my brother and sister and mother.” Thus, humanity will be particularly evaluated as to the authenticity of their salvation through how they tried to meet the needs of other believers (food, water, shelter, clothing, and prison visitation mentioned here). Whatever we do for a fellow believer (or a fellow human being and “potential” believer), we do for God Himself. The good works are not the cause of salvation, but the effect of salvation. Salvation is, as always, by grace alone through faith alone.